Slot Games listed are Outta This World RTG Slot and Ocean Dreams Slot. 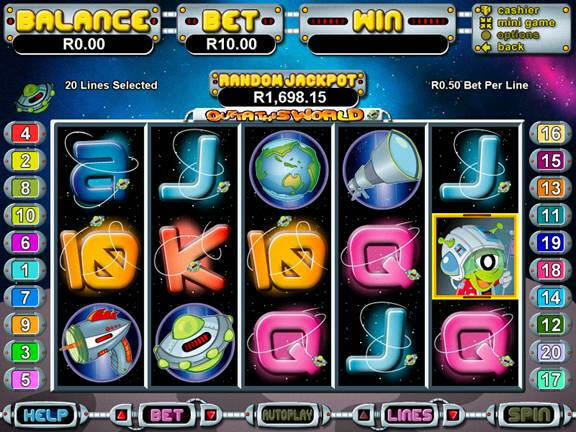 Outta This World is an Alien Themed Bonus Feature Slot Game from RTG. If you encounter an alien it becomes a wild symbol and expands across all 3 rows. RTG has a new ocean slot game with doubles, wilds and a free spins feature where you can win up to 100 free spins. if you get 3 or more scattered islands, you will be taken to the free spins feature where all wins are doubled. Orca symbols are wild, and the Gold Orca on Reel 3 will double the win when it appears. The free spins can be retriggered and there is an added bonus where all wild orca whales are changed to gold orcas which double the win when they appear. You can also win the random minor and major jackpot on Ocean Dreams Slot.